Atlanta, GA (March 29, 2012) - When you think of all the qualities music should possess you think of the lyrics telling a story, the arrangement of instruments in a beat, and the energy behind the voice. Music is ART. After performing on countless stages in countries like Australia, Japan, England, France, Holland, Spain and more, Dizm has compiled plenty of inspirational scenery to incorporate in this project. The project contains a varied list of producers and special guests such as ¡MayDay!, Young Cash aka Joey Galaxy, T-Pain, Multi Man of the Lounge Lizards, Signature and One Chance. 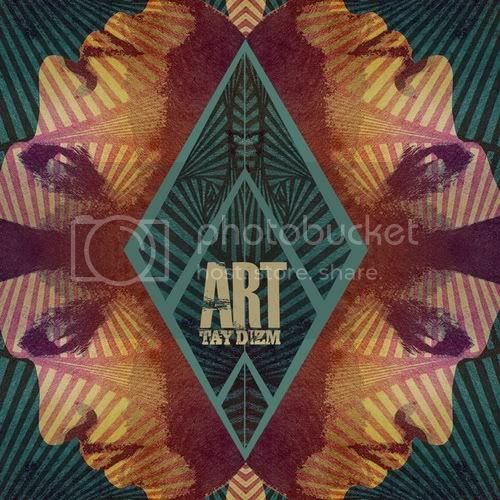 In preparation to release ART, Tay Dizm leaked "Like Ooh" featuring Young Cash aka Joey Galaxy last week and the collaboration quickly went on an internet craze amongst Djs, fans and media outlets. ART definitely illustrates an artist that's painting a picture through music. The project is brought to you by Coast 2 Coast Mixtapes and Grooveshark.com and will be available for download at 3pm/EST via Datpiff.com. Around this time last year Tay Dizm released Thank You for Being a Friend, the mixtape contained the single 'Smoke" featuring T-Pain that quickly received over 35 thousand downloads in the first two days of the release. For the past nine years Dizm has been representing Nappy Boy well with his successful releases of "Dream Girl" ft Akon receiving over 18 million YouTube views to date and "Beam Me Up" featuring T-pain and Rick Ross. Dizm has toured alongside T-pain internationally and continues to headline shows nationwide. His high energy performances, unique footwork and his life's experiences he shares through his music continues to make him a memorable artist in the game today. 3. Like Ooh Ft Young Cash a.k.a Joey Galaxy - Produced By: Signature & F.M.B.